T-shirt Dress | My Crazy Blessed Life! I gathered the fabric around the t-shirt just under the sleeves and pinned it. Then sewed around that. Next I sewed up the back of the skirt and hemmed the bottom. 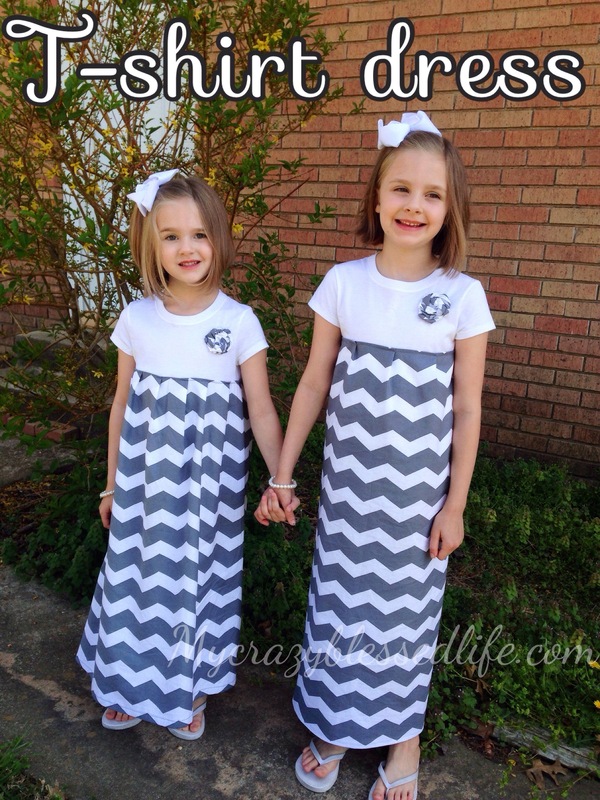 My girls love them and they make fun springy maxi dresses. 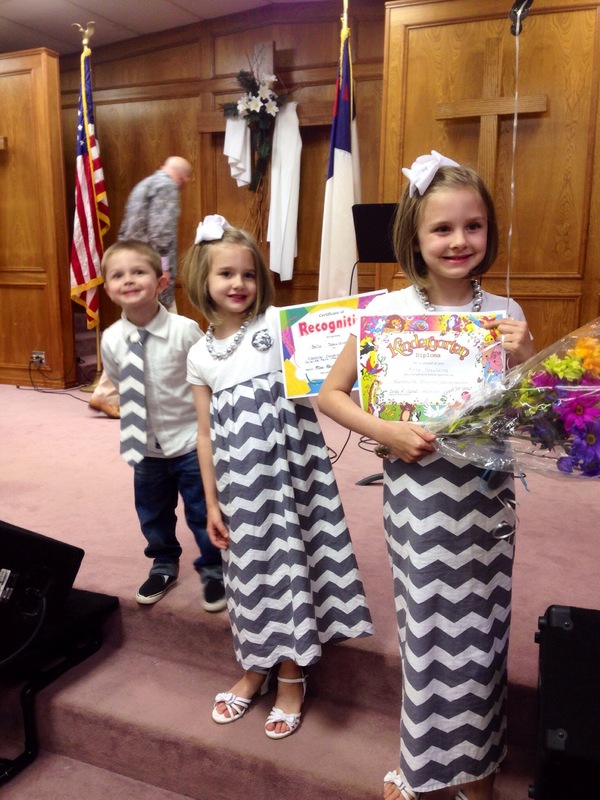 Here they are at their closing program for our homeschool community last night 🙂 adorable right?! Oh and I had extra to make a tie for my boy! These are cute! I did something similar with my husband’s old shirts for my daughter. I have dresses in the fabric for our girls! Great minds think alike! So cute I will have to try to make some like these!